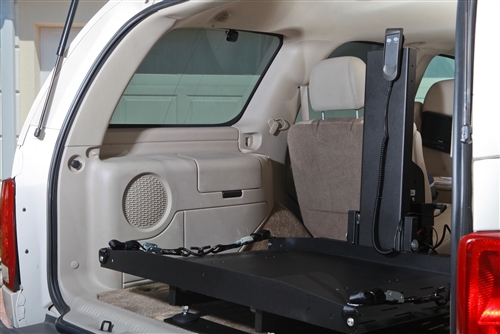 The AL 600 Hybrid Platform Lift gives you the best of both worlds! It is an easy drive-on, drive-off platform that is perfect for scooters and power chairs. 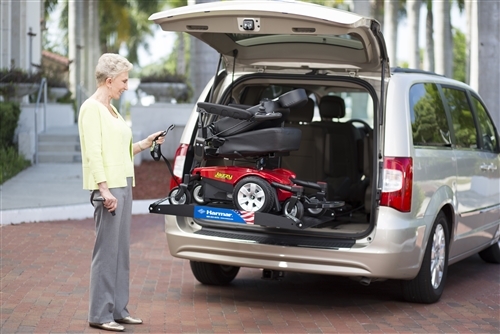 If you have a smaller space, the new EZ-Detach Setback is the perfect accessory that converts power chairs to a lower profile allowing it to fit easier into small cargo spaces.